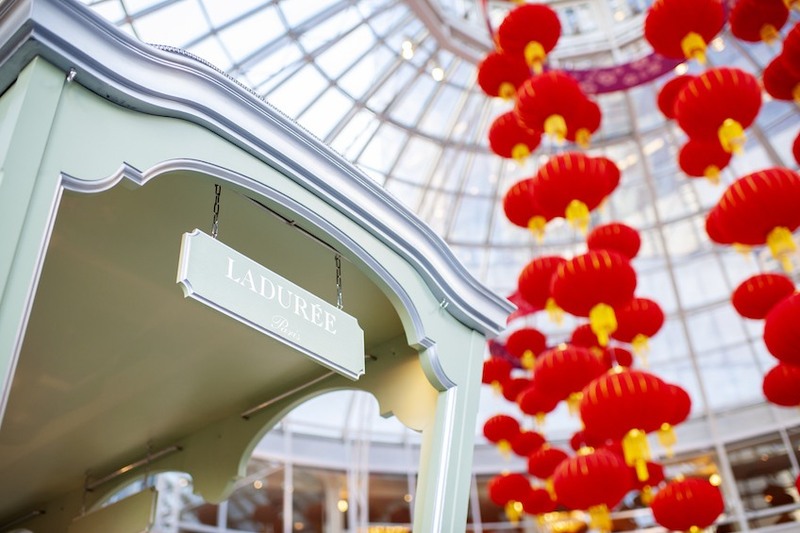 Ladurée Canada has expanded its Vancouver locations yet again with a third pop-up outpost in Pacific Centre’s rotunda. The glass-domed space now houses the Parisian brand’s newest spot, which offers its iconic macarons, pastries, and cakes. 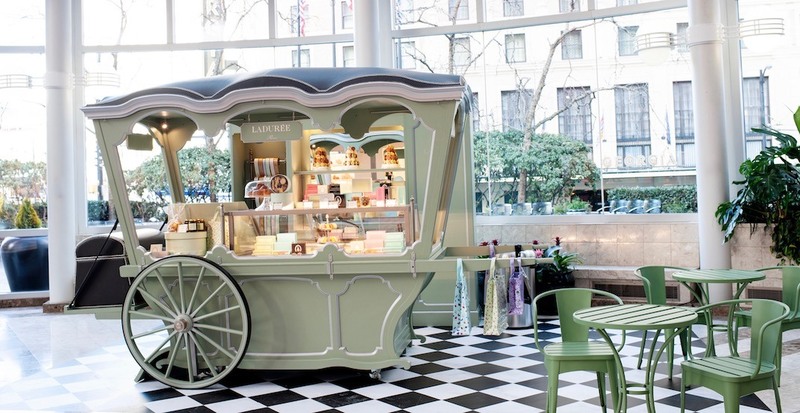 Ladurée’s signature green carriage will be open seven days a week starting at 10 am. 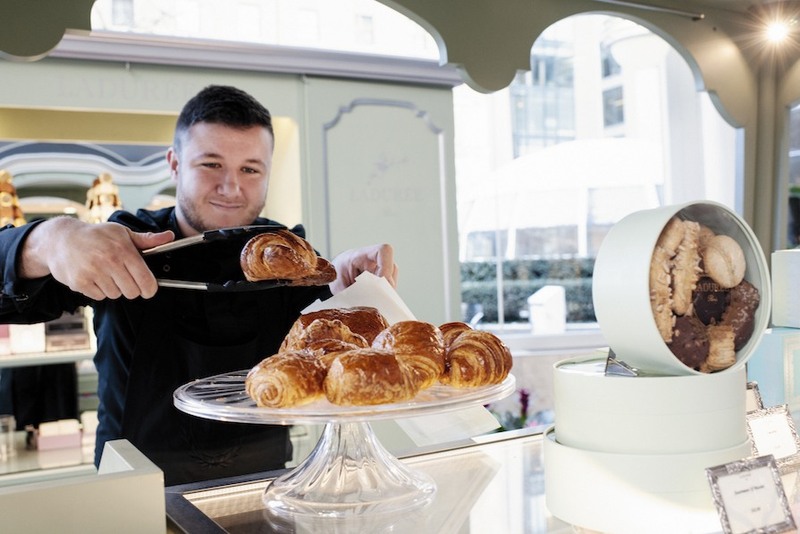 Patrons can currently buy boxed sets of macarons, chocolates, various other gifting options including Ladurée’s house-made pastries and biscuits. The team hopes to offer piece-by-piece macarons and individual-sized cakes at the pop-up soon too.